The first show of the Spring Season – wet, wild and windy weather was the theme for the day. Judge Lyn Dickson did a great job despite the weather. 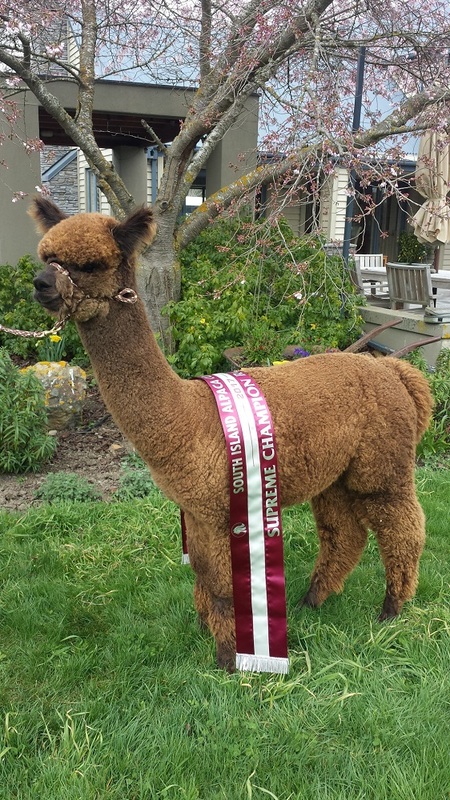 Thanks to the organisers and crew and congrats to all exhibitors who braved the conditions. 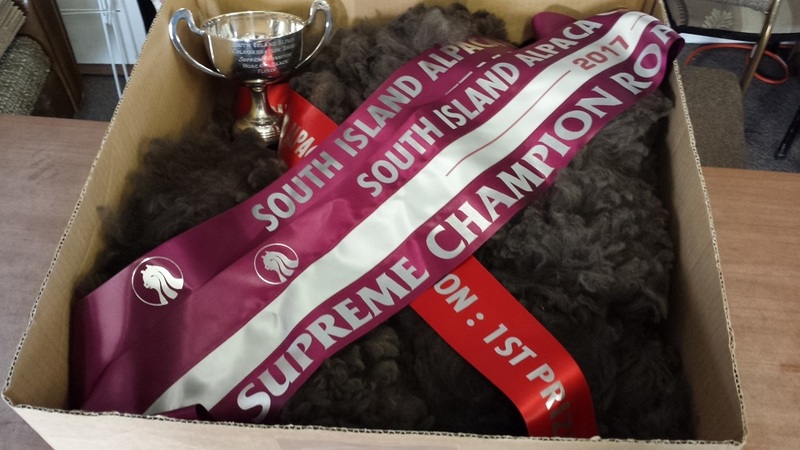 This show was an excellent start to our show season – a real highlight was winning both Supreme Huacaya Roan Breed and Supreme Huacaya Roan Fleece. 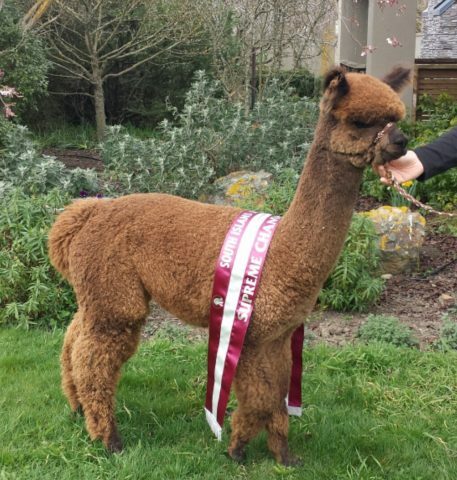 Oak Ridge Aurelia was our star performer – a Supreme Championship under her belt is a superb result for this junior female at her first ever show. Check out full results on the show page. ← First Dynamo Cria have arrived!